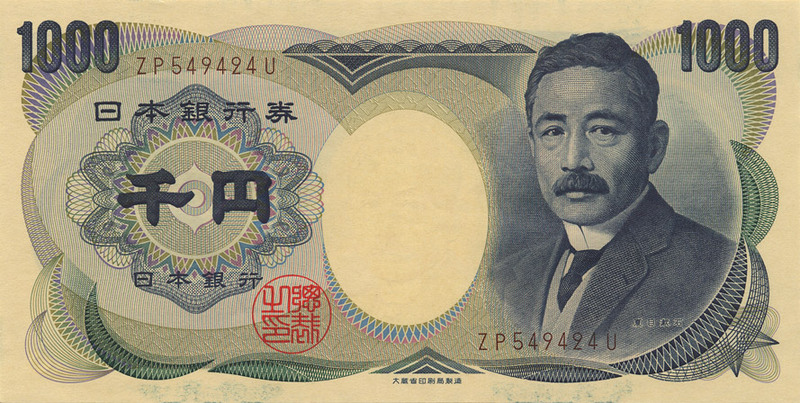 Natsume Sōseki (1867 – 1916) is unarguably one of Japan’s most well-loved novelists. He is so well-loved, in fact, that Kokoro, his most famous novel, is taught across Japanese middle schools. Most Japanese citizens will have read a Sōseki novel at least once in their lifetime. I first encountered Sōseki as a university undergraduate student learning Japanese history. Sōseki’s work is key for understanding modern Japanese history; his works capture the soul of the Meiji period (1868 – 1912) like no other. From his earlier, lighter novels like I Am a Cat and Botchan to his later, more somber works like Kokoro and Sorekara, Sōseki’s writing displays extraordinary depth and insight into a rapidly modernising Japan. Sōseki was one of the early modern Japanese novelists who was part of the Civilization and Enlightenment movement (bunmei kaika). Through his travels and studies, he became very familiar with Western ideas and literature. His keen interest and ambivalence about the tensions between Western and Japanese cultures would play a part in all of his major works. Yet although Sōseki was a highly educated man who understood Western literature better than perhaps any other novelist in his day, his greatest accomplishment as a writer was something much more deeply personal: he understood loneliness. It was this quality of his writing that drew me to his work. Those who have read him may understand how I felt the first time I read Kokoro. I could feel loneliness etched across every word and sentence. I could feel it in the sparse prose and I could hear it in the conversations. Kokoro is a haunting story that will likely leave a deep impression on some readers. Given the enormous influence and resonance of Kokoro, it’s not surprising to see it referenced in pop culture from time to time. There’s even an anime adaptation, for those so inclined. What prompted me to write this post, though, was translating volume 4 of Oregairu, which contains a book report about Kokoro. Several aspects of it will need explaining for those who haven’t grown up with Kokoro or studied it. I think Sōseki is of more general interest, though, so I hope you’ll get something out of this short essay even if you’re not an Oregairu reader. Natsume Sōseki’s Kokoro is clearly a novel about loners. Triggering a flag does not lead to a happy ending. Someone may understand you, but you cannot achieve true intimacy. Love and friendship cannot soothe loneliness. Even without context, you might get the impression that the writer of this book report is a pretentious brat in middle school. After all, what is life but a dating sim? There is nothing that can be done about feelings of alienation. Sōseki referred to it as sabishisa (loneliness of the heart), but we of this modern era have grown accustomed to this sabishisa. We have accepted it as a fact of life. Or perhaps one ought to call it the building block of the individual spirit. At this point, Sōseki’s ideas need some explanation. For those of you who know Japanese, sabishisa is a commonplace word. It’s ordinarily spelt as 寂しさ. Sōseki spelled it as 淋しさ. In the various English translations of Kokoro, it’s rendered most commonly as “lonely”, but also as “sad”, “forlorn” and “melancholy”. 寂しさ and 淋しさ are almost interchangeable meaning-wise, though 淋しさ refers more specifically to inner loneliness rather than physical loneliness. Every main character in Kokoro describes themselves as 淋しい at least once, from the protagonist and his father to Sensei and Okusan. Loneliness in the world of Kokoro is something everyone has experienced intimately, though naturally it is Sensei’s deep, unending loneliness that takes center stage. This culminates eventually in his suicide. Simply stated, individualism is a philosophy that replaces cliquism with values based on personal judgement of what is right and wrong. An individualist is not forever running with the group, forming cliques that thrash around blindly in the interests of power and money. That is why there lurks beneath the surface of his philosophy a loneliness unknown to others. As soon as we deny our little groups, then I simply go my way and I let the other man go his, unhindered. Sometimes, in some instances, we cannot avoid becoming scattered. That is what is lonely. In life, Sōseki was always a reclusive man. Though he travelled to London in 1900, he generally kept to himself and actively loathed much of London city life. It was rumoured among his writing colleagues that he went mad. Unlike Sensei, however, Sōseki never killed himself. He eventually died of a stomach ulcer. After a near brush with death in 1910, Sōseki must have been keenly aware of his own mortality. In Kokoro, Sōseki presents us two people who are eventually driven to death through their unhappy circumstances: Sensei and the friend he betrayed, K. Yet as clear and lucid as Sensei sounds in his testimony, his ultimate motives for suicide remain slippery. It is a topic that has been hotly debated among critics since the novel’s publication. My personal reading of Kokoro is that there was no specific reason for Sensei’s suicide. It was deep loneliness that killed him, a loneliness that he could not even quite bring himself to articulate. And yet he understood it enough to know that this was what killed K as well. I became aware of the possibility that K had experienced loneliness as terrible as mine, and wishing to escape quickly from it, had killed himself. Once more, fear gripped my heart. From then on, like a gust of winter wind, the premonition that I was treading the same path as K had done would rush at me from time to time, and chill me to the bone. This is the reason Kokoro is considered a novel of great psychological insight. Through various framing techniques, it accurately describes a suicidal man without ever providing a true reason behind his loneliness. In Part One, we see Sensei through the point of view of an unnamed narrator, who is strongly implied to follow in Sensei’s footsteps after the ending of the novel. Then we read Sensei’s testimony and try to reconcile our impressions of him. How much is what he saying really truth? How much about himself is unknown even to him? Perhaps one reason for Sensei’s loneliness is that he was part of an old, dying generation, one that was rapidly losing its place in a changing world. 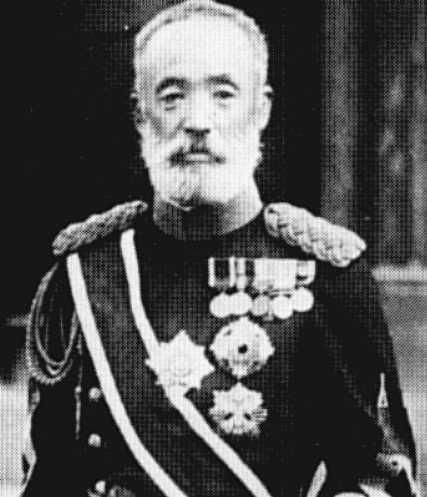 Sensei cites General Nogi’s suicide after the funeral of the Emperor Meiji as the trigger for his own suicide. He claims to want “to die with his lord”, a motive that would certainly feel lofty and even noble to some Japanese readers, but it also rings of defeatism. There is no such thing as a stereotype bad man in this world. Under normal conditions, everybody is more or less good, or, at least, ordinary. But tempt them, and they may suddenly change. That is what is so frightening about men. One must always be on one’s guard. This is one of the most famous lines from Kokoro. In his testament, Sensei claims that he was thinking of his uncle who betrayed him for money, but he also makes his self-loathing quite clear. Sensei hates and despises the part of himself that is capable of changing at the drop of the hat. And this is precisely what happens when he betrays K. Sensei is not a moraliser. He is not above the “ordinary” man. That is why his lack of trust is fatal, both for himself and for others. Hachiman’s book report might be easily dismissed as the ramblings of an immature teen, although if there’s one thing the Oregairu novel does do particularly well, it’s in portraying the loneliness of self-absorption. In that sense, Hachiman is not so different from Sensei and the other characters of Kokoro. Hachiman’s pain might be something he will eventually grow out of, but his loneliness is still deeply felt. The novel also quotes Kokoro again in chapter 4 to describe the situation of Rumi, a girl in elementary school, after she has been betrayed by her friends. Rumi is unable to clearly articulate the reasons behind her loneliness; she can only say confidently that she is “different” from the others. Yet her loneliness is something the older characters immediately understand. “We’re all equally human, after all,” Yukino says. Even a bad essay, then, can shed some light on the universality of Sōseki’s writing. Perhaps my loneliness is different from your loneliness, but both of us can certainly point to something within ourselves we find unsettling, even if it is difficult to express clearly in words. We’ll never truly understand the inner workings of our souls, but that’s no matter. We’ll carry on as best we can. I’ve been vague about the plot of Kokoro, but if you haven’t read it already, I definitely think you should. The English translation by Edwin McLellan (which I’ve been quoting in this post) is easy to read and accessible. You can read it online for free here. There’s also a more updated translation by Meredith McKinney published by Penguin Classics. I’ve read both translations and can recommend them. Sōseki’s other novels are great too, though Kokoro remains my personal favourite. I recommend Botchan and Sanshiro. In any case, I hope this could have piqued some interest in Sōseki and Japanese literary fiction. If you have any questions about Sōseki and Kokoro, feel free to ask me about it here. I’d like to write more posts about (non-light novel) Japanese literature sometime, so stay tuned to this blog. If you want to see what else I’ve written about Japanese literary greats in the meantime, you can read these two posts about Miyazawa Kenji. 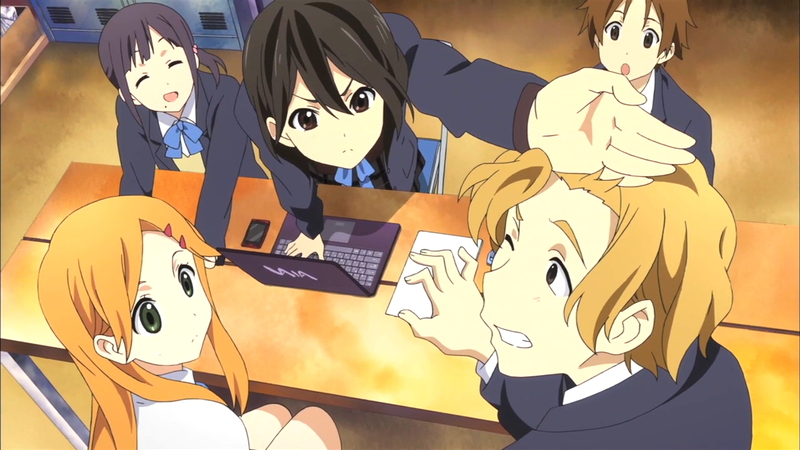 Posted on February 1, 2015, in Translations and tagged botchan, i am a cat, kokoro, kokoro connect, Natsume Sōseki, sorekara, yahari ore no seishun love come wa machigatteiru. Bookmark the permalink. 34 Comments. I really liked Kokoro, even though it made me feel somewhat depressed when I read it in my Japanese lit class. Thanks for the eloquent insights, frog-kun, it made me want to read it again. Yeah, Kokoro was a really depressing story. Despite the plain writing style, it felt very hard to read, especially during Sensei’s testament. It’s that feeling of dissatisfaction and discomfort that makes Kokoro so memorable, though. I’m glad you liked it! Very much enjoyed Kokoro; I feel as though it should be on more required/suggested reading lists over here in the US (and elsewhere, I suppose [particularly for second- and third-year liberal arts majors, haha]). Even those who don’t particularly with the themes of loneliness will at least get some sensible career advice. Plus, considering the prose, students might actually read it with minimal reluctance. “The Great Gatsby is clearly about loners and the futility of love. Gatsby works tirelessly to win Daisy’s love, but she never gives him the time of day. No matter how hard you work and how many flags you trigger, you are not guaranteed happiness. This shows how useless the American Dream is. I had been reading Kokoro a while back, but I didn’t finish it before I had to return it to the library. =/ I really ought to give it another go some time soon (and more Japanese classics in general). Different author, but Osamu Dazai’s No Longer Human is another interesting take on loneliness-related themes–I’ll suggest that if you haven’t already read it. The camping trip story arc was my favorite part of Oregairu’s first season, and I’ll have to catch up on the LNs to give your fourth volume a read once that’s wrapped up. The elementary school student of that story was easy to relate to at least, and I liked how her situation was handled. I liked the camping trip story in the Oregairu anime as well. Reading through the light novel, I’m surprised how much foreshadowing there was for later events which may come up in the second season of the anime. It’s probably worth a read since some of the important foreshadowing was cut from the anime. Frog-kun is there something more I need to know about Sôseki and Daizai before I start reading their books? I don’t think you need a particular checklist of points to know if you want to appreciate both authors, but they’re both Meiji authors, so it’s useful if you understand the context of that era, at least. There are three key significant points in history I suggest looking over: the 1868 Meiji Restoration (why was the samurai class overturned? Why did Japan embrace Western ideas and technology? ), the Russo-Japanese War (what did this war mean for the Japanese? What were its consequences?) and the death of the Emperor Meiji. But honestly, I think both Kokoro and No Longer Human can be enjoyed without much context, since they’re both very introspective narratives that barely mention historical events. I confess I’m not a big fan of Sōseki’s books. I liked Kokoro more than Botchan though – the latter of which I read out of a feeling of obligation as well as curiosity (since I live in the prefecture where Botchan was written). In hindsight, maybe it was a mistake to read Botchan first – I should perhaps have tried Kokoro before going on to some of Sōseki’s other works. I liked Aoi Bungaku well enough though, as you’re aware. Did you ever watch that, and if so, what are your general thoughts? I’ve only seen the Kokoro episodes in the Aoi Bungaku anime so far, but I really enjoyed it. I think it’s easier to appreciate the creativity in the adaptation when you’ve enjoyed the original novels. It’s a shame Sōseki’s writing doesn’t click with you. I must confess some of his work can be pretty hit and miss for me as well. I really didn’t like Kusamakura, for instance. I think I like his writing best when it’s tightly constructed and purposeful, not rambling and too inward-looking. No, but that’s the capital city of the prefecture I live in (Ehime). I’m based a couple hours south from there but sometimes do weekend and business visits. That’s a shame to hear. It’s always a pain when books aren’t available where you live. Fortunately, I think you can buy Kokoro on Kindle and Google Play. I also posted a link to a site where you can read it for free. At any rate, I’m glad you’re interested in reading Sōseki’s novels! That is one of the reasons I love Oregairu so much. Aside from the plot and MC, it also includes fantastic travelogues of Chiba and Kyoto and insights into Japanese culture without being academic or boring. From the perspective of a gaijin (or gaikokujin, to be PC) who can’t read Japanese, this series introduced various must-read Japanese literary works to me. Of course, the wonderful commentary and critique in your blog helps provide the context to understand the significance and interpretation for them, for which I am appreciative. Anyway, I’m glad you enjoy Oregairu and that you found this post useful! Just last week I went to a local bookshop and saw I am a Cat. That was when I first heard (read?) his name. I wanted to buy the book (first because I am a cat lover; second because the idea of a cat narrating his observations on human behavior is too interesting to pass up), which contained all three parts, but didn’t have the money to do so. Anyhoo, what do you think of "I am a Cat"? It’s these kind of posts that I like in your blog. Anyone know that suicide first start with the question of self-existence, right? (Excluding the case of political/religion/e.t.c -related cases.) The answer will always be: I’m zero, equal to one. Then, which group is most likely to ask that question? The sensitive ones, of course, like Sensei. They, like Hamlet, tends to over-analyze this world with its tedious details. But do they ever see the big picture? I mean, the world is still very big. … My point is, how could you maintain a good perspective on life without turning your head away? Confucian said that A great man should be like Polaris, but I’ve this feeling that Soseki has no believe in that. To be perfectly honest, I don’t know much about suicide or about what kinds of people are more likely to commit suicide. I think it’s more likely that circumstances and neurological imbalances influence suicide rates than inherent personality traits. When you have depression, it’s hard to see “the big picture”. You just can’t muster the energy. That is what makes depression lonely. Damn it! This made me laugh. Where’s part 3?!?! hey Frog Kun . I want to read both kokoro but i feel no courage to go ahead and read these depressing stories . I have yet to complete Adachi Mitsuru’s mangas . these sad novels have -ve energy and they change your optimistic mood to pessimistic one and so i find myself caught in troublesome position . i want to read it but i can’t read it and this is why i like Oregairu more and more . i like how Watari Wataru concentrate on Sociology and human nature though most of the time almost all readers are interested in Characters and their own going life which includes romance to a great degree. You are quite sure of Hikigaya being a Pretentious brat and we have to seriously take your views as we know you have better understanding of literature and human nature . Hachiman doesn’t use the word “sabishisa” very often. He uses “kodoku” more often, which I translated here as “alienation”. In any case, he never actually describes himself as lonely. He tends to skirt around the subject without calling it for what it is. I don’t think I have much else to say about Oregairu that hasn’t already been said. Right now, I don’t have plans to write about the volumes I’ve translated, except maybe to discuss some of my translation decisions. I’d prefer it if everyone came to their own interpretations about the characters and plot. Also, while I’m flattered you think so highly of my opinions, you shouldn’t assume that I (or anyone else for that matter) have a better understanding of human nature than others. You can respect someone’s views without putting them on a pedestal. For some reason I seem to have taken a liking to 20th centur-ish Japanese Literature. You are the only blogger who I follow that writes about Japanese lit so I hope that you will be able to write more of these kind of posts. Oh and by the way there is a little known 12 episode anime called Un-Go that is based on some detective stories by Ango Sakaguchi you know the guy who wrote “In the forest, under the cherry blossoms” and that wonderful essay called “Discourse on Decadence/Darakuron”. I think that you might like it. Ohhhh, I should definitely watch Un-Go! Thanks for the heads up. I enjoy writing these posts about Japanese literature too. I definitely plan to write more about it in the future. Just click on the images to enlarge them. It’s also there on JSTOR. I am following your blog since august 2014 and i have put your blog into my reading list since then . i didn’t said you to write a review of volumes but i do really wish to see your incorporation of subjects and titles to give we the viewers an article like above . long ago i also read your way of writing Hikigaya and your top anime and there you went through personal thoughts and gave your view about Oregairu and how Watari has written the LN . Its your comparison of kokoro with Hikgaya dialogues that made me comment here. yeah we tend to get influenced by others views and modify our thoughts accordingly and before we know their views become our views . In general like everyone else i come up with my own interpretations but at the same time i really like to see views through the eyes of others . it is like watching the same Action again from a different angle and i think it broadens the scope of you getting to more reliable answers . You and many others who comment here being part of literature community provide better insight about various aspects of the medium of literature. A translator has better view of the story so i really put your views at top but that doesn’t mean i accept them wholeheartedly like i asked about word “Pretentious” . Simply put among the dozens of articles i read this is the best one for me in 2015 .
the literature though i have only read classic literature and Oregairu is my 1st LN. talk about rumi before 8man helped her, she was in weak state but with 8man’s plan’s pressure, she change suddenly, just like souseki’s quote said. she was tempt by his plan and change in better person.